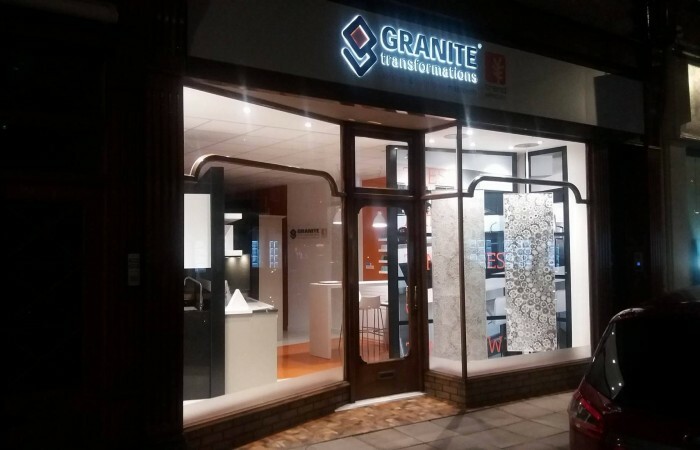 Granite Transformations boutique kitchen showroom, in the centre of Rugby, is a family business providing high-end products and an innovative design service to customers in the East Warwickshire area. Offering an exclusive kitchen and bathroom showroom experience, we think of ourselves as the first choice in custom makeovers for homeowners in the region. 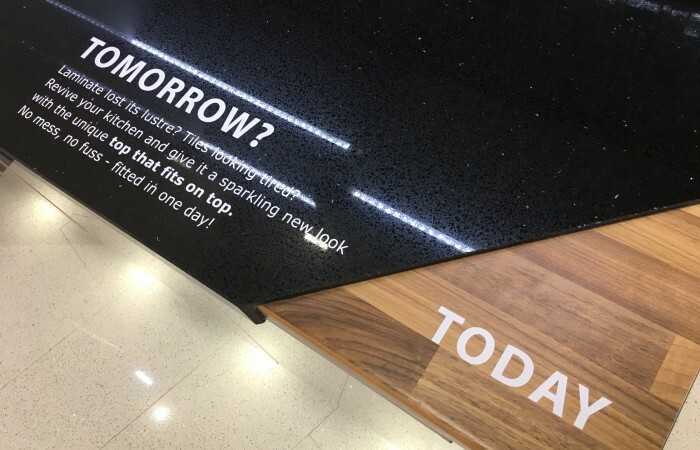 Our one-of-a-kind showroom is the perfect place to be inspired, design and shop – bringing to life our impressive collection of innovative Origina™ granite, recycled glass and porcelain worktops, stunning quartz surfaces and bathroom panelling. All complemented by a beautiful collection of replacement kitchen doors and glass mosaic tiles. Our trademark tiles can transform any space, whether residential or commercial, and our mosaic designs are truly unique. 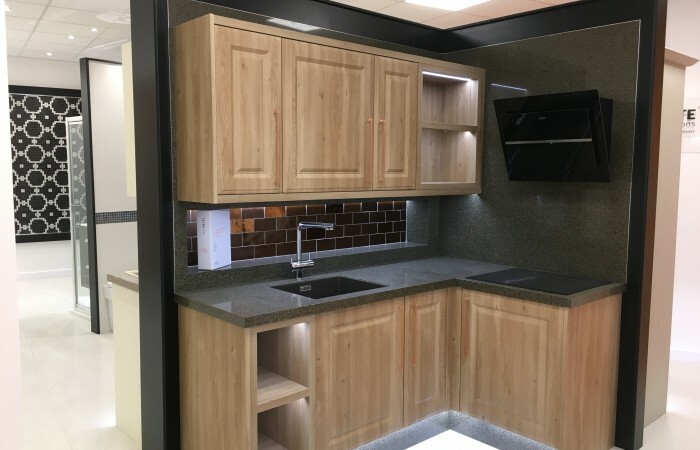 The highest quality sanitary ware, sinks, taps and branded appliances are also available for our customers to purchase, meaning your entire project can be planned to perfection with a member of our design team. Our fully-trained specialists are here to discuss your décor needs and material choice in detail. Alternatively, if you prefer, we can visit you for a free design consultation and help you choose a new look in the comfort of your own home. You may also wish to visit our other locations. Both of our showrooms in Banbury and Hatton (Warwick) are purpose-built to showcase our makeover products. 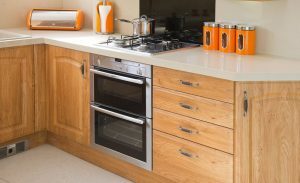 We specialise in Granite & Quartz Worktop Overlays – the top that fits on top. Fitted quickly with minimal mess and no fuss. Guaranteed for 10 years. Check out more reasons to choose us here. Call for a free home consultation 01788 297 983 or email us your request.